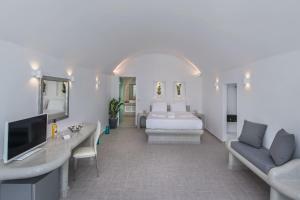 Offering a heated pool, gourmet restaurant and spa center, Pegasus Suites & Spa is a 5-style Cycladic-style property located in the town of Imerovigli. 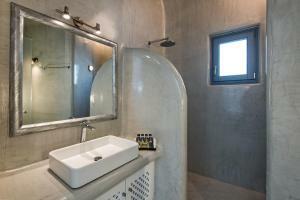 It offers accommodation with views of the volcano and the Aegean Sea. Children under 13 can not be accommodated at the hotel. 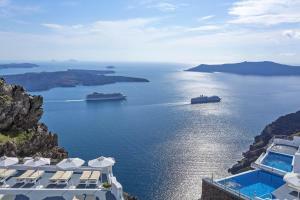 The hotel offers a shuttle service to the airport and the port of Santorini at an extra cost. If you wish to use this service, please inform the property in advance. Contact details can be found in the booking confirmation. This suite has a seating area, air conditioning and CD player.